Our Health Services Research programme aims to better understand the needs and experiences of people affected by myeloma. Our work informs the way myeloma is treated, managed and shape how patient care is designed, delivered, and funded. 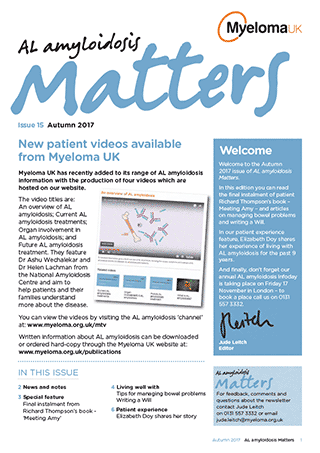 We created the Health Services Research Programme to better understand the needs and experiences of myeloma patients, and their families. 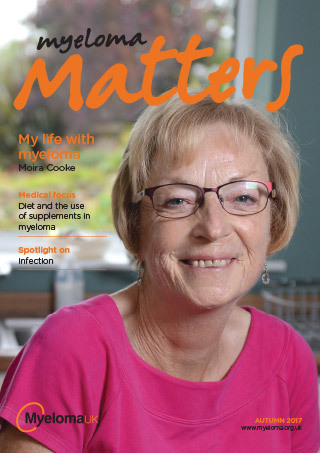 Through the information we’ve gathered we’ve helped shape how myeloma patients are treated and managed. Several of the projects and studies have been the result of collaborations with experts or established organisations. Each document is designed to support healthcare professionals in their role caring for myeloma patients. Myeloma patients can take part in future studies by joining our patient and carer research panel.